The Brillantmont secondary programme caters for students aged 11-18. The first three years are spent in our Middle School (ages 11-14), which prepares students to enter our High School (ages 14-18) on either the American or British programmes (with some flexibility between the two). Read more about our Middle School programme in The importance of a good Middle School Education and its importance as an educational grounding for the university preparation that follows. 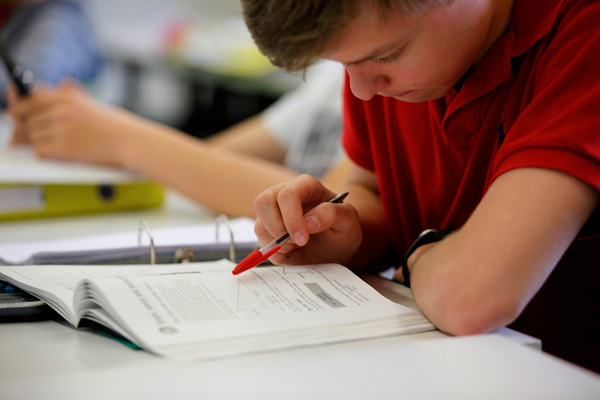 High School students follow syllabi based on the American (PSAT and IELTS) and British (IGCSE and A Level) systems. Find out why Brillantmont offers its students A Levels over other international programmes of study such as the International Baccalaureate (IB). If you’re thinking of enrolling as a new secondary student for 2013, now is the time to begin the process if you haven’t already. The procedure begins by requesting information by phone, fax or email, or by visiting this page to download the application forms and brochures. The application process includes a school tour (highly recommended); the completion of paperwork, questionnaires and payment of registration fees by parents; and the evaluation of a students potential. Click here to read about all the steps in more detail. New students on our Secondary Programme can expect the same high level of education as those that came before them, but as educational trends change, so too does Brillantmont. 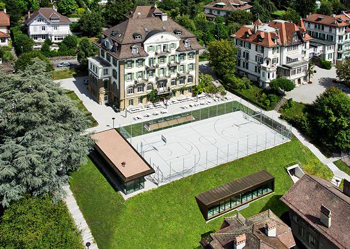 The Françoise Frei-Huguenin Sports and Cultural Centre – completed midway through the last academic year – has already inspired many wonderful cultural and sporting events in the short time it has been open. New arrivals this year can expect even more sports tournaments, musical nights and dramatic performances, as the entire school strives to make the most of the wonderful new facilities.